Indian golfers Jyoti Randhawa and Rahil Gangjee managed to make the halfway cut in the Russian Open. 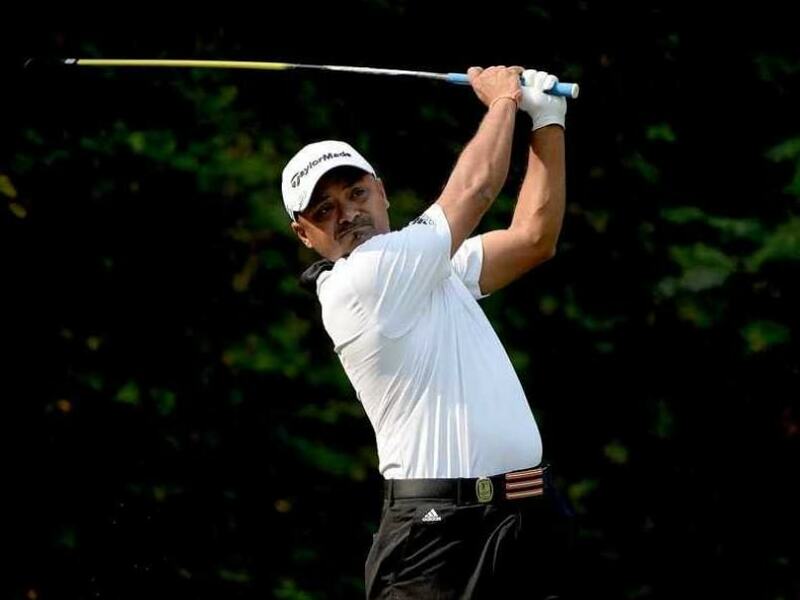 SSP Chawrasia was on the brink of elimination as he added a level-par 71 to his opening score of 72. He was at tied 72nd position. The cut was projected at 142. Khalin Joshi was certain to miss the cut as the young Bengaluru golfer got a 71 that took his total to three-over 145. He was tied 92nd. Gaganjeet Bhullar showed a lot of improvement after a horrendous 80. However, 70 in the second round took his total to 150. He was joint 114th. Welshman Bradley Dredge took the lead with a brilliant 66 that selled his two-day total to 10-under 132 -- one stroke ahead of Englishman Lee Slattery, who added a 67 to his first round score of 66. Overnight joint leader Daniel Gaunt of Australia was one shot below at third spot, followed by Ben Evans, Estanislao Goya and Pablo Martin Benavides on 135.